It is only when they fail to return Gemma the following day that Brenda realises something has gone terribly wrong. Particularly worrying is the calculated manner of the abduction, and the fact that one of the ‘social workers’ was a woman. For Detective Chief Inspector Alan Banks ritual Satanic abuse is a dreadful possibility. 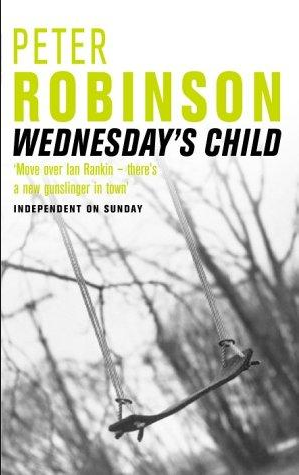 I really enjoyed Wednesday’s Child by Peter Robinson, I am a fan of his books in general and this one certainly didn’t disappoint (even though I have to confess I find that his more recent books are far superior to the older ones). It was an intriguing story-line, would parental guilt make you susceptible in the way that Brenda was? Does she actually love Gemma? How long would it be before you realised something was wrong if you were in her shoes? I’ve always enjoyed the Banks character although I do find in these older books that he is still establishing him and almost trying out different personas and attributes; the more recent Banks is a finely honed individual by comparison. This is a nice quick read with plot twists, several potential culprits and a well woven story. I particularly liked the moral questions that seemed to be lurking in the background. A little book that packs a punch!